General Motors was the best-selling company for the better part of 75 years. But in recent years, they’ve slipped behind Toyota and a new surge of competition. Coming into 2014, GM needed a big bounce back year to make their push back to the top. And they started off strong, winning Truck and Car of the Year awards at the Detroit Auto Show for the Chevy Silverado and the Corvette Stingray. However, in the ensuing months, GM’s reputation has taken hit after hit. This, of course, has been led by a culture of hypocrisy, lies, and corruption. 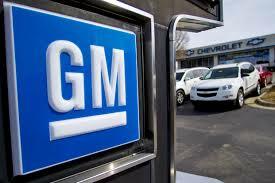 Issuing recall after recall, GM has now called back nearly 30 million vehicles in total for 2014 alone. “This is the all-time biggest recall year on record, and there’s months to go,” says Tony Faria, co-director at the University of Windsor’s Office of Automotive and Vehicle Research. Despite the negativity, for much of this year, GM has bragged time and again that their sales numbers have not dipped. But they spoke too soon because it appears that the onslaught of bad publicity and late night jokes have finally caught up with them. In an article published by The Detroit Bureau, we are told that GM has slipped all the way to fourth in the revenue rankings recently. In fact, during the April to June quarter, they reeled in $29 billion less than the leading manufacturer, Volkswagen. They also finished $23 billion behind Toyota, and astonishingly, $3 billion behind Daimler AG! The disparaging numbers should be no surprise, though; there is only so much that a company’s reputation can take before it affects their sales. GM is no different. Now, they are left with a mission that is far more difficult than building great cars…re-building a great reputation. This entry was posted in Culture and tagged drop, GM, sales, Toyota, Volkswagen. Bookmark the permalink.